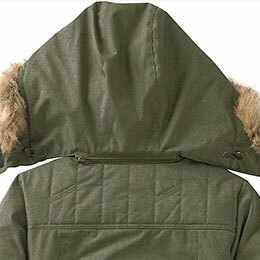 Women's Anchorage Parka is rated 4.7 out of 5 by 181. Outdoorsmen know that once water seeps in, it's all downhill from there. 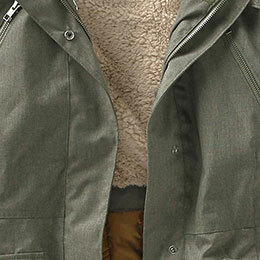 Thanks to our special water-resistant coating, you'll stay dry when everything else is getting soaked. Not all fabrics are created equal. 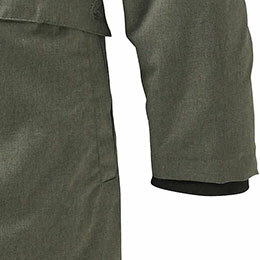 Easy-moving polyester flexes for active comfort, giving you greater freedom. Stay comfy and safe from Mother Nature's worst! 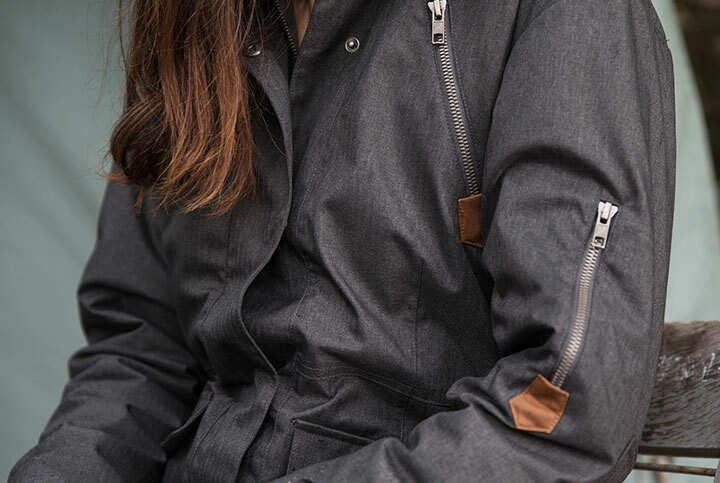 Made from a unique polyester fabric that's finished with a water-resistant coating. 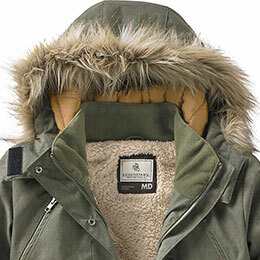 Features an ultra cozy zip-off removable hood with faux fur trim. 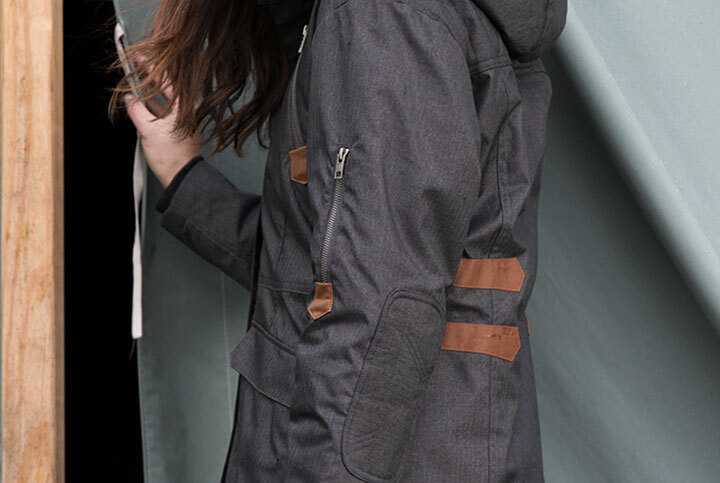 Fashionable exposed metal Signature Buck zippers, soft polyester interior knit cuff, roomy double entry pockets, and super soft quilted lining. Faux leather Signature Buck pocket label. Rated 5 out of 5 by Whitetailer31 from Amazing!!! I received this coat 2 months ago and cannot get over the wonderful quality! Its not super heavy but keeps me perfectly warm. I live by lake Erie so we experience alot of cold wind and snow and this was the best jacket!! I've had multiple complaints on the appearance also. Rated 5 out of 5 by Love4Mona from Great for Fargo, ND I bought this jacket around Thanksgiving as it is longer than my other winter jacket which is a Columbia. I much prefer this jacket to that one. This year has been to -50 air temperatures and I have had no problem staying warm wearing this coat. It also does an excellent job blocking the wind. I bought a medium and it is pretty true to size as it fits a hair larger than my medium Columbia coat. I have also gotten plenty of compliments on it. I highly recommend this jacket. The only knock against this jacket is my dog’s fur sticks to it, but that could be the dry air here. 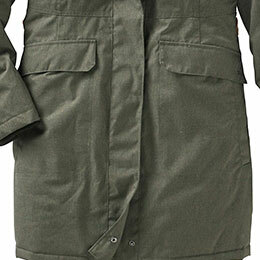 Rated 5 out of 5 by Penny from LOVE my Anchorage Parka LOVE this coat. I am always cold and when I wore this coat I was very warm and comfortable. I was able to enjoy the outdoors more than I have in a very long time! I&rsquo;m looking to exchange a med for a large. Will you have more in stock Jan or Feb 2019? I ordered the Med and it seems huge but the arm length is good. What is the arm length of the Small? I would love to swap you! &nbsp;I just received my small and it&rsquo;s too tight in front. &nbsp;Arm length is perfect. The medium was out of stock. According to the chart. It should have fit. i just received this parka. the front zipper has 2 pull tabs. is that normal? I apologize, but we do not carry Women's Petite sizes. Why don't you guys offer sizes XS or S??? I'm sorry to say sizes XS and Small are now sold out for the 2017 Fall/Winter season and will not be restocked. 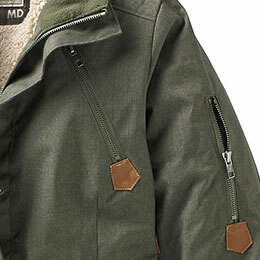 I like the back of the Anchorage Parka jacket in your winter catalog better than the one on your web site. 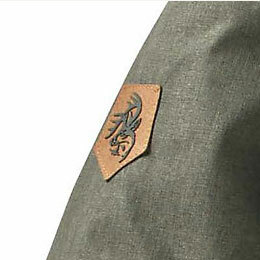 &nbsp;Can you tell me which jacket I would be receiving if I ordered it on line? Thanks! I apologize for any confusion! The picture on the website is correct -- the catalog features an outdated item photo.